SALT LAKE CITY (January 9, 2018) – Ski Utah and Protect Our Winters, in partnership with Utah Transit Authority (UTA), Alta Ski Area, Powder Mountain, Snowbird, Solitude Mountain Resort and Sundance Mountain Resort, will be encouraging skiers and riders to carpool, rideshare or ride UTA to help lower CO2 emissions, reduce traffic congestion and increase awareness around environmental accountability as part of the fourth annual POW Day on January 13, 2019. Ski Utah has partnered with Protect Our Winters since 2015 to raise local and national awareness around environmental responsibility and preserving healthy winters for generations to come. POW Day was established in 2016. January 13 is statistically the snowiest day in Utah based on 50 years of snow data. 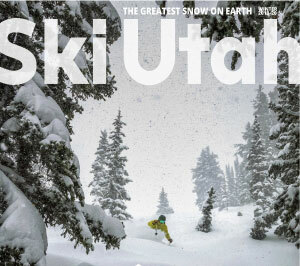 For snow enthusiasts who prefer public transportation, Ski Utah and UTA will make sure they have plenty of information to navigate their way to the resorts. The Ski Utah app includes a ‘Ride The Bus’ tab that allows any user to use their location to find the fastest public transit route to any Utah resort. Download the iRideUTA app to view routes and real time locations of UTA’s bus, TRAX and FrontRunner routes. Riders can purchase ski bus fare using the free UTA GoRide app. More information on POW Day 2019, including a full guide to riding the UTA Ski Bus, can be found at skiutah.com/powday.